Framing is when you use language to set the agenda. Framing is short for "frame of reference", meaning "a set of ideas, conditions, or assumptions that determine how something will be approached, perceived, or understood". This is a very important concept in marketing, and business in general. By using an appropriate frame of reference, you can manage how people perceive you. For example, "SEO Is Spam" is a frame. It defines the terms of the debate ie. SEO is either spam or not spam. Would we frame the couriers this way? Couriers are spammers? Why do the terms "SEO" and "spam" necessarily go together? They don't. That's a deliberate construct. SEO is spam/not spam is an attempt to frame SEO as undesirable by associating SEO with a pre-existing pejorative term. That frame came from the search engines, and it has stuck with the industry since the days of Infoseek. Who is ranked as the #1 ethical SEO company in the world? Some SEOs have contributed, too, of course, but it has served the search engines well. No matter what side of that debate SEOs take, they have already lost. They've been forced to argue within a negative framework. My personal view if that if you start by framing your SEO service solely in terms of ethics, you're probably losing business. Potential clients would undoubtedly see such a frame in terms of "where there is smoke, there is fire". Would you trust a car dealer who, upon meeting you, launched into a long explanation of why car dealers have a bad reputation, but he's not like the other dealers, no sir? Why even bring it up? I'd think that he was trying too hard, and really all I'm interested in is buying a car. Sell me on that instead. It's the same with potential SEO customers. What are they really looking for? Once you've answered this question, then you can begin to work on your frame. 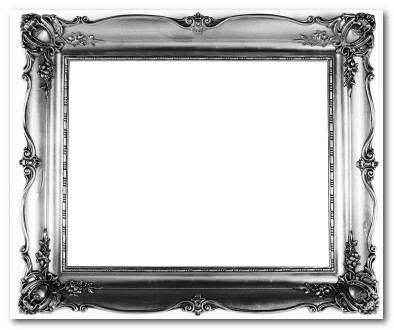 Politicians use frames all the time. For example, Al Gore framed the environmental issue as “man made global warming.” Bush re-framed it as “climate change.” Those different frames imply different things. One implies "we can do something about an impending disaster by changing our habits", the other frames man in a passive role, because climate change is a natural occurrence. Both those frames supported the underlying political message. Marketers know that the way a statement is framed influences how customers respond to it. Tell a group of base jumpers that 1% of all base jumpers die horrible deaths, and you'll get few people signing up. However, tell them that 99% live, and it sounds a whole lot more appealing. A friend of mine told about how he handled an irate customer by carefully framing his response in terms of options. The customer hadn't received his goods - although they had been sent out - and was quite angry about it. My friend listened to the problem, and rather than debate about shipping delays, the offensive language of the customer, and other factors, he replied "I hear you. You'll get one of two things - a complete refund, or a replacement package sent overnight delivery. I just need to find out which option you want". The customer, given a limited frame, calmed down, opted for the replacement package, and later published an article in, using this story as a great example of customer service. He also became a repeat customer. Using options can be a great way to frame, although care must be taken to present options that are meaningful. Trying to force people to take options they don't actually want, won't work. SEOBook isn't framed in terms of individuality, ethics, or morality. It is framed as a community-based SEO training site that will help you learn, rank and dominate. There are also mentions of exclusivity, and frequent explanations of value. This is what customers want, and Aaron frames the service in terms of these needs. So when you're pitching your goods or services, think carefully about the frame of reference. Make it positive. Make sure it resonates i.e it touches on attributes the customer actually wants. If the customer perceives widespread dodgy practices, then it is a good idea to address them, but be reluctant about framing your service in such a way to everyone. No good comes from starting on the back-foot. A good way to frame an SEO business is to talk about solving problems and providing benefits i.e. lack of traffic/more traffic, lack of business/more business, lack of exposure/more exposure etc. Let this flow through into the language you use. And the language you avoid. Following on from our posts on SEO business planning, let's take a look at allocating capital. We'll also take a close look at one of the most important areas for SEO consultancy start-ups: advertising and marketing. Never a truer phrase was said than "you need to spend money to make money". Thankfully, in the SEO game, you don't need to spend a lot, like brick-n-mortar companies need to do in order to get going. How do you decide where to spend your money? Do you go by gut feel? Do you quantify and measure results? Whatever approach you use, the end result is that any spend you make should ultimately grow revenue. Let's take a look at three areas in which a start-up SEO company will likely spend money. Equipment, staff, and sales and marketing. The SEO business isn't capital intensive. Many SEO consultants need little more than a computer with an internet connection. If you hire staff, then obviously you'll need somewhere for them to work, but besides that, capital investment is minimal. If you're a sole operator, obviously you have no fixed staffing costs, other than the wage you choose to pay yourself. You'll likely need to budget spend for outside contractors for doing work you can't do yourself, or work that it isn't worth your time. For example, if you're a sole operator, you'll want to spend as little time as possible on non-core activities. Non-core activities are activities that don't lead to revenue generation, such as administration and accounting. By the way, a good accountant is worth their weight in gold. By ensuring that you claim all the deductions you're entitled to, you have more money to invest in your business. You can write off a part use of your home, your computers, your internet connection, travel and more. Accountants are relatively cheap, and their fees are more than covered by the tax savings they produce. If employing people, figure out the total cost of an employee and their likely return in terms of revenue. Costs can include office space, equipment, training, travel, insurance, employment agencies, management overhead, and payroll tax. Employees obviously need to generate more revenue than they cost to employ, but so long as this calculation runs in your favor, you can keep adding employees, which will keep adding to revenue. So how do you get new business in through the door? Do you employ sales staff? Rely on word of mouth? Advertise in trade papers? Speak at conferences? Buy PPC? Undertake SEO? Any new SEO business should allocate sufficient resources to advertising and promotion. Without awareness, there are no customers. And without customers, there is no business. On the flip side, spending a lot of money on marketing and advertising that doesn't lead to increased revenue results in no business either. No method is ever perfect. If we knew our spend would always result in profit, business would be very easy. Here's the most common method of determining the appropriate level of advertising spend. Advertising is a cost, just like staff and equipment. It's also an investment in your future. How do we know how much to spend on advertising? Typically, businesses allocate advertising on a percentage of sales basis. They take their total sales figure for a given period, and ear-mark a percentage of those figures for advertising in the next period. Advertising spend should move in tandem with sales. Take 10 percent and 12 percent of your projected annual, gross sales and multiply each by the markup made on your average transaction.Deduct your annual cost of occupancy (rent) from the adjusted 10 percent of sales number and the adjusted 12 percent number. The remaining balances represent your minimum and maximum allowable ad budgets for the year. So what percentage do you use? This will vary, but as a guide, look at what other SEO companies are spending on advertising. Join trade organizations to get hold of these figures. Be careful not to duplicate these percentages exactly, because your business situation is unique. There might be times when you spend a lot more on advertising than others, especially if you are aggressively targeting new markets, or looking to out-compete your rivals. There will also be times when you spend a lot less. For example, you might have more work than you can handle, and advertising would just exacerbate the problem! SEO consultancy can be a difficult business to scale up easily due to skill shortages. The important take-away point is that advertising should move in tandem with sales, most of the time. If advertising spend is not related to sales, then it is easy to spend far too much, and have little to show for it. Spend and measure, spend and measure. Repeat. What if you have no sales figures? If you're a new SEO business, you won't have any past sales data to go on. This is why it's important to be aware of what other SEO companies are spending. If you've been going a while, you'll have some past data to work with, but keep in mind that past earnings might not be indicative of future earnings. There will be a fair bit of estimation and forecasting either way. Set clear, specific objectives when allocating capital. An objective such as "boost profits" is too broad. Go for something specific, such as "sign up 30% more customers than the month before". Next, figure out which channel will reach your target market. Conferences? Trade publications? PPC? SEO? Web? TV? Radio? A mix? Whatever channel you choose, be sure to measure performance against your stated objective. Unless you're trying to build a significant brand to spin off to someone else, such as YouTube, that objective should be grounded in increased revenue. Few, if any, SEO companies can operate at a loss for long, so base your key objectives, and your spending, around increasing revenue, and ultimately - profits. What were the reasons you started your SEO-related business? Perhaps you're thinking of starting one up. 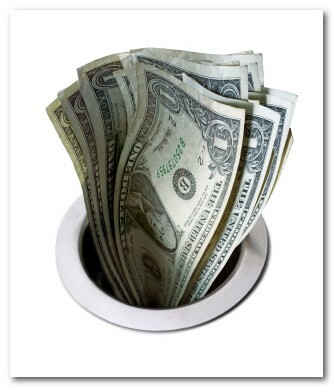 It's interesting to note that the biggest obstacle people faced with starting their own business was a lack of money. 44% cited lack of money as being the biggest obstacle. Whatever your reason for starting, it's clear that money is important. The one thing that is guaranteed to kill any business dead, no matter how good the idea or how many customers a business signs up, are bad numbers. In a previous post, we looked at SEO business planning. In short, a business plan doesn't need to be complicated, it's just a plan of where you're aiming, and how you intend to get there. Here are a few further important points to consider. Obviously, the most important thing to do in business is earn more than you spend. Fail to do so, and the business fails. That means flash offices, expensive chairs, flying business class, etc all must wait until profits allow such expenditure. So it's a good idea to model oneself on Scrooge McDuck, at least in the early days! The one thing you'll have the most control over is costs. Keep these as low as possible. Pay yourself the bare minimum you need to live. If you're hiring staff, offer them low salaries and revenue share. You may have noticed there is a start-up culture where fun, hip-ness and enthusiastic participation is emphasized. This is almost always because the owners are trying to keep their costs down. The benefit to the employees is seldom coming from wages, so the job has to be made attractive in other ways. Keep a look out for hidden costs. What is the true cost of attending that conference? What does it really cost to hire and keep employees? What is the cost of scaling up? Does your office equipment need regular servicing? What are the costs of maintaining a lot of customers? Hidden costs are, of course, hard to spot, and hard to generalize. Be aware that any new variable you introduce to your business will incur costs of some description. Economic rent, or making a profit over and above the cost of the inputs, is the key target you should aim to be above in your forecasts. If you make $100,000 a year from your business, and take it all in salary, that means that your business makes nothing. Your salary is a cost. Do your projections allow you to make a profit over and above the salary you pay yourself, after all other expenses are deducted? If so, you've got a business that is likely to thrive, and you you may one day be able to sell. It's surprising how many business owners don't include their salary as cost. How can you determine, very quickly, if your idea will fail? You need a break-even analysis. A break-even analysis shows you the amount of revenue you'll need to bring in to cover your expenses, before you make a profit. Knocking up a break-even analysis is a great way to trial an idea before you put it into practice. After mapping out a simple, back-of-the-envelope business plan, it's the first thing you should do. If you can make these numbers work, then the rest of your detailed business plan can flow from there. If you can't get past a break-even analysis, then the rest of your plan will likely fail. What are your fixed costs? i.e rent, insurance,power and other set expenses and overheads. What is your sales revenue? 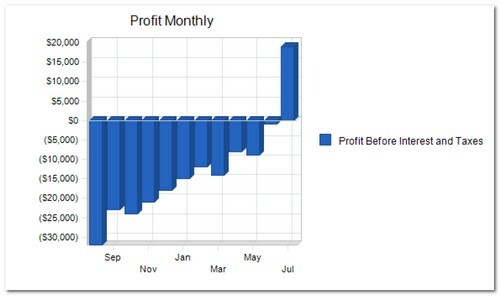 What is your average gross profit percentage? Divide your average gross profit figure by the average selling price. You should now be able to easily calculate your break even point. Divide your annual fixed costs by your gross profit percentage to determine the amount of sales revenue you'll need to bring in to break even. Is your break-even point higher than expected revenues? You'll need to change your cost structure (make cuts), or increase the profit potential of your sales. Can you do without employees? Work from home? Sell your product for a higher price? Target a more lucrative market? If you can make the numbers work at this point, move on and create a fully fleshed-out business plan. If you can't make the numbers work after a few tries, then dump the idea and try another. Pat yourself on the back for being smart enough to run a few numbers, before wasting a lot of time and effort executing a bad idea. Most people jump straight to the latter. Often, in our rush to get ahead and do things, we forget to plan. Do you have a business plan? Do you have a business plan, but haven't updated it in a while? A business plan need not be complicated. A few bullet points scribbled on the back of an envelope can constitute a business plan. A business plan is simply a description of what you intend to do, and how you intend to do it. The advantage of having a plan written down is that your business becomes a lot easier to visualize. There are a lot of resources available on writing business plans, but few address the specifics of SEO-driven businesses. In this article, we'll cover business plan basics, then delve into the specifics of SEO related plans. We all make lists. Why? Probably because our memories aren't that good. A list also helps to focus attention. There's something about the very act of writing things down that makes a nebulous action concrete. The same theory applies to business plans. For Whom Are You Writing The Business Plan? Is you aim to attract VC? Get a loan from the bank? 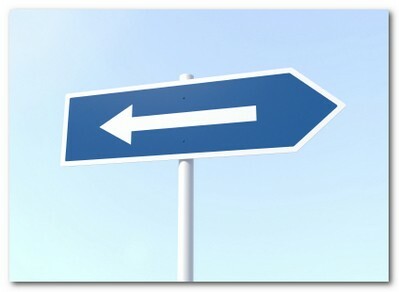 For internal staff to be clear about direction? For your own use? Depending on your answer, your business plan will have different requirements in terms of the information provided. Business plans aren't just for start-ups, either. As a business transitions through different stages as it grows, the plan needs to change. You might want to figure out the best way to invest or fund expansion. A new financial period may be beginning. What are your plans for the next financial year? Do you need to refinance? Are you taking on more employees? Does your old plan fit your new reality? A plan could be as short as one page. Answer the following questions. How much money will you need to execute your plan? How do you intend to plan to market your business to customers/clients? What will your cash flow look like, and over what time frame? Simple questions, right. Many business ideas can be adopted or dismissed on those four questions alone, saving you a lot of time, money, and opportunity cost. However, such short plans aren't suitable for seeking investment. The essential difference between a working plan and a presentation plan is style and appearance. The tone is serious, and it usually comes complete with charts, forecasts and diagrams designed to convey to people that you've put a lot of consideration into your venture. Presentation plans should be free of industry jargon. Investors like a lot of due diligence, especially when it comes to outlining competitive threats and market opportunities. A working plan is a plan used to operate your business. Like a short plan, it is less formal in terms of style. It is used internally to ensure everyone has enough information to be on the same page. Ready to dive into SEO as a full-time occupation? Before you make that leap, let's take a look at a few business models you can choose from, and weigh the pros and cons of each. 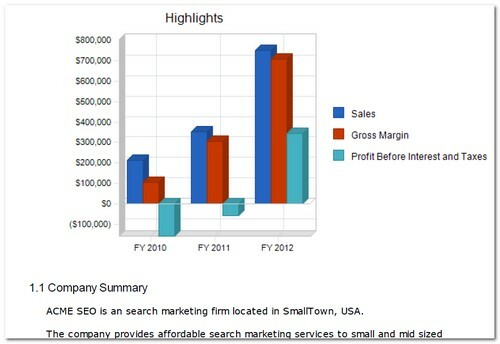 For SEOBook.com members, I've written two, detailed business models in pdf format. These can be used as guides for planning your own SEO business model, and projecting your finances and revenue. This model includes seo agency and independent consultant. There are some great advantages in this model, especially if you're well versed in SEO, but new to business. One advantage is that you get to see how other businesses operate, and get a close look at someone else's marketing strategy. If you're new to SEO, then it can be a good idea to get an agency job first. This way, you can learn the process of SEO, and how to win and negotiate with clients. View this as a training course if your eventual goal is working for yourself. In terms of working for yourself, there are huge rewards, and huge challenges. One challenge is to describe how you're going to get new clients, how you're going to service those clients, and determine if you have enough time to service these clients and still make a profit. Often, SEOs focus on the technical aspect of the job, which is important, but the business aspects are what will make or break you, not your skills. The client service model is essentially about billing hours. The more hours you bill, the more money you make. Given that there are only 24 hours in the day, of which around half you could reasonably expect to consistently work (and still have time for sleep! ), it is important to plan how much time a diverse range of tasks will take to achieve. These tasks include sales, accounting, billing, administration, purchasing, computer maintenance, and, if you get some time left over, SEO! In order to scale up the number of billable hours, SEO service providers usually add more people. If your aim is to run as a sole operator, that's fine, just make sure you've got enough hours in the day to do what you need to do and make a profit, and consider outsourcing as much of the drudge work as possible. This includes affiliate, Adsense and other content based models. If you can get a site ranked well, then why aren't you doing it for yourself, rather than someone else? The "cost of entry" to launch a website is almost zero. This is both a pro and a con. It's a pro, because you can easily bootstrap (meaning you can self fund) your venture and once you have rankings, you then sell the traffic to the highest bidder, by way of advertising, or revenue share, or both. There is little downside risk, other than it won't work. You've may have lost some time, but compare this with the loses associated with a failed brick n mortar operation! The major downside, of course, is that anyone can compete with you. The SEO publisher model used to be a lot easier than it is today. There was a time that SEO was a mystery to most webmasters and site owners. The biggest downside now is the level of competition. As we face more and more competition, this puts downward pressure on revenues, and only the determined will make good money. However, there is still a lot of money on the table if you execute well, are determined, and prepared to put the work in. It's a cliche, but those who tend to work the hardest and smartest, benefit the most. A neuroscientist who worked with seven-time Formula One Drivers Champion Michael Schumacher said that he had never met anyone who worked so hard. The guy had natural talent, but it was the sheer hard work that put him above the other talented competition. Same goes with SEO. When there is a lot of competition, you need to be more determined than your competition in order to succeed. If you've got a good work ethic, and thrive on competition, then an SEO publisher model might be a good fit for you. Rather than asking "is this good enough to rank #1" you have to be willing to put in the extra effort to build a moat if you want to play where the big boys play. Aaron outlined his competitive strategy here. The obvious way around saturated markets is to look for new markets. If there are a lot of SEOs doing affiliate for any particular company or niche, then you're exposing yourself to a lot of competition. If it is easy for you to sign up and start as an affiliate, then it is easy for everyone else, too. Instead, consider looking in keyword areas where there are few, if any, affiliates operating. If there is sufficient traffic in the niche, then approach companies directly and negotiate pay-per-lead or private affiliate deals. It can take a bit of effort up front, but the payoff is that you might have a keyword area all to yourself. Most people attracted to the affiliate area will be too lazy to do this. The SEO publisher model can be scaled more easily than the SEO consultant model, because scaling is as easy as publishing a new site. Once that site is revenue positive, you can further increase its rankings, start another, and so on. Many of the requirements are easily outsourced and do not require extensive , time consuming client interaction. But again, there are only 24 hours in the day, so once you're up and rolling, try to outsource as much as possible. If you are a subscriber you can download the business plans here, and for SEO professionals there is a secret confidential bonus worth over $500 located here. I've been self employed most of my life and once in a while, I hit the motivational pit. Lack of motivation was easier to combat when I ran a business with customers. Being accountable for my actions drove me to get up early in the morning and commit my end of the bargain. However, running websites and publishing premium content is an entirely different animal. I've been doing it full time for almost 4 years now and while we're making a decent living out of it, my motivational juice has dried up. It has nothing to do with lack of passion. I truly love what I do and would not trade it with any other job. It is tougher to maintain a routine when you have no customers because sometimes they can be hell to deal with and that is enough to keep you alert. I also think contentment plays a role in ones waning motivation in business. I've been happier in the last 8-9 months and not only did that bleed my motivation, it also packed a few pounds around my waist and thighs. I wrote this post to share what I did in the last couple months to reverse the trend and revive some of my motivation back. 1. Create a to do list DAILY and be accountable for every item. Aaron does a good job with this and it rubbed off on me. 2. Have variety with work duties - Lately, I've been doing a lot of offline marketing and it's absolutely awesome because I'm not as tied in front of the computer. 3. Associate with like minded people - It's better if they're more successful than you :) A few months back, Aaron and I met up with Andrew Frame of the Ooma fame. His entrepreneurial energy was contagious and his product, disruptive. I guess I'm extra fascinated with his company because they now carry Ooma at Costco and...it's a tangible product. Andrew is a forum member and it made me proud to see a lot of high caliber minds at our forum. 4. Reward yourself - Only after you've completed the tasks in the to-do list. You will also realize that completing the tasks is already a reward in itself. Fulfillment can be addicting and soon, you will back on track with your motivation. What were the things you know now that you wished someone had told you when you started out? Personally, I wonder whether I would have actually listened had someone told me. Some things I just had to learn by making dumb mistakes. But if you are starting out on the web, and you want to skip all that hassle and expense, here is my list. Old-hands may recognize a few mistakes that they have made, too. Please share your words of wisdom in the comments. Don't start by building a website. Start by building a business case. I wasted time on domains and activities that would never be profitable because I didn't ask and answer some fundamental questions. Web design, SEO, blogging, social media marketing, writing, networking, posting on forums - all these activities can be worthwhile, but if your aim is to make money, they only bear fruit if they support your business case. Otherwise, they're a waste of your time. Competing on price only works if you can do volume. Competing on price is ultimately a losers game. There will always be someone else who can undercut you. There are waves of third-world SEOs/E-Commerce Operators/Marketers who can survive each day on a lot less than you can. Where do you go when they undercut your price? You follow them down, until one of you goes broke. If you can't do enough volume to make small margins worthwhile, then focus on quality and service aspects. What is that you do that adds more value than the other guy? Do you have something unique to offer? What can you do better than anyone else? Find out if that one thing is in demand and profitable, and do it. There is another good reason not to compete on price. People tend to value things that are expensive. It's a curious aspect of human psychology that if we believe something is valuable, then it is. Conversely, if you put a low price tag on something, people perceive it as being junk. Say a retailer wants to sell one particular refrigerator. Does she stock only that refrigerator? No, she doesn't. What she does is she carries one low priced refrigerator, one mid-priced refrigerator (the one she sells a lot of), and one expensive refrigerator. Most people will choose the middle refrigerator, even if the features are similar across all three. The customers price expectation has been set by being able to compare low/mid/high. They tend to go for the middle, "sensible" choice. Not too cheap, not too expensive. Always structure a deal that creates a basis for comparison. And put the choice you want the customer to take in the middle. There is a danger in giving too many options, however. People get confused by too many choices, and when people feel confused, their perception of risk increases. When their perception of risk increases, they are more likely to back away. They don't care if your site runs on Linux. They don't care how much you've invested in usability. They don't care if you're the (self-proclaimed) "best". They care about solving their own problems. Your language must be their language. Everything you do must be geared towards identifying and solving their problem. Business isn't about Lear jets. It isn't about business cards. It isn't about conferences, lunches or expense accounts. Business is about the relationships between people. Business is all about what you can do for someone, and what someone can do for you. If that relationship creates more value that you can do so by yourself, you've got the makings of a business that can grow. A characteristic common to successful business people is they have large personal networks. They constantly leverage these networks. It really is about who, not what, you know. Learn to stay in touch with old friends, learn to ask for help, give out before you get back,and understand that everyone you meet is going to know things that you do not. When I first used the internet, in 1993, you didn't need to buy domain names. You could get one just by asking for one! What if I'd known then what I know now? What if I'd seen domain names for what they really were - undeveloped, directly accessible real estate in a gold mining town. Learn the lesson of domain names. You should take positions where you don't rely too much on the whims of others. SEO, in itself, is a risky business model because your income is susceptible to underlying changes in the search engines sort algorithms. There is an entity between you and the customer, over which you have no control. MLM? Forget it. You need to be the guy at the top of the chain. PPC/SEO? Find a way to lock in those customers so you don't re-advertise to the same people. What's this topic doing in a web column? Well, what are you going to do with your web income once you get it? This is one of those concepts that is so simple, true and fundamental to "living well" in a capitalist society it should be drummed into people the minute they start school. Money literally makes money. What are you doing with that money you're making on the web? Are you buying stuff? What is the true cost of that thing you're buying? It's not just the price of the thing itself, it's also the opportunity cost of that money had you chosen to invest it. If you've buying something on credit, chances are you're enslaving yourself to your future self, unless that credit is used for something that can generate further income or capital gain. The old "don't put all your eggs in one basket" rule. The internet can be a difficult place to make money. At times, it can be really easy. But ask anyone who has been in the game a while, and they'll tell you it is always flaky. It is flaky, in terms of generating income, because it moves and changes very quickly. Most business operations find it difficult to move and adapt very quickly and maintain the same income level. One way to overcome this risk is to have income coming in from different asset classes. I do this by taking a percentage of my earnings and putting it into rental property and shares. I've done this for many years now. The rental property market, compared to the internet business, is very dull and predictable. But that's a good thing. The steady rental streams cover any down weeks I have in the flaky internet game. The share market returns above all other asset classes over time. Being dependent on one source of income can be precarious. My share broker recently gave a seminar in which he asked the question "can you take a 50% drop in house price and a 50% drop in income, and still be happy?" If the answer is yes, you'll survive this recession with a smile on your face. Or any recession, for that matter. Boom and bust cycles are inevitable in market-driven, interventionist economies, so expect them and plan for them. Living within your means creates a buffer zone. Is there big income to be had by leveraging? Of course, but the current crash is showing the downside problems that can occur if you're over leveraged. When betting, try not to use your own money, but make sure you can cover that bet if it doesn't go your way. Having stuff is easy. If you can get credit, you can get stuff. But what do people complain about not having most these days? Invariably, the answer is time. One of the best things about running your own internet business is that time is your own. Want to go fishing for a few hours? You don't need to ask anyone. To me, that's the most valuable thing in the world. I have stuff, but given a choice between acquiring more stuff, or having more experiences, I choose experiences. And you need to have time for that. There's a book called "Avoid Retirement And Stay Alive". The idea is that retirement has no place in modern society. If you can make work enjoyable by balancing it against the other things you want to do, then you can live like you've got all the time in the world. If you could tell your 18 year old self a few things, what would they be? Every minute of a journalist’s time will need to go to adding unique value to the news ecosystem: reporting, curating, organizing. This efficiency is necessitated by the reduction of resources. But it is also a product of the link and search economy: The only way to stand out is to add unique value and quality. My advice in the past has been: If you can’t imagine why someone would link to what you’re doing, you probably shouldn’t be doing it. And: Do what you do best and link to the rest. The link economy is ruthless in judging value. Part of making sure that what you create counts is creating something great, but another (often overlooked piece) is to content for the right markets. Links alone won't make you money. Some websites want to limit exposure. It is far easier to program something like Chartly than it is to create something that generates millions of needed daily page-views to become profitable. Even if you pick the right markets (and are building off a big network) there is no guarantee you will be profitable, which is part of the reason why many media companies will start building more interactive sites with more tools on them. The media needs to shift from being a spot you read the news to a spot where you interact with and discuss the news. Perhaps even a spot where you help share and create the news. Don't get me wrong, I love amazing content like this, but it just doesn't make money. Given the recent economic uncertainty in the world, I find myself reading more stuff about economics...a field which I currently find far more complex and fascinating than SEO. Circa 2000 – It doesn't matter that Internet stocks are trading at multiples of revenue because 'these companies are going to change the way we do business'. Circa 2005 – It doesn't matter that people are borrowing 125% of the home purchase price because 'the price of homes always goes up'. Circa 2009 – US government 'T-bills and T-bonds are risk free', so the federal government can borrow unlimited amounts of money. This example of bubble-mentality thinking not only ignores the defaults by countless governments, it also ignores the history of US sovereign defaults (gold in 1933 and silver in 1967) as well as the continuing debasement of the sorry US dollar from inflation. Whenever and wherever people are looking to pay for certainty and safety, they are paying a premium for that privilege, often yielding a net negative real return. The future does not mirror the recent past, but we are inclined to operate in a herd/bubble mentality. This, and our emotions, are why it is so easy to lose money in the stock market. By the time US actors and rappers are asking to be paid in Euros, all the dumb money is on that side of that trade, and the market is about to shift the other direction. Business opportunities are like buses, but you can't just sit around waiting for them to pull up. If an opportunity has to be "proven" before you are willing to try it, then maybe there won't be much opportunity left by the time you go after it. If there is already a "make easy money using xyz" ebook on the market, then the opportunity is probably already closed for most new market participants. Group-think is the enemy of success. You usually have to create and believe in the value system you are selling to others for it to spread. You can't create the ideas and movements that spread if you are only following someone else's lead. How does this concept of uncertainty vs profit potential apply online? I got on the web in 2003, way late to the party (and broke). But in my first year of observing the web I saw that search was going to become the center of the web, noticed that domain names were important (buying domains SeoBook.com WhiteHatSeo.com BlackHatSeo.com & SearchEngineHistory.com), and quickly built a blog (because I saw other bloggers getting lots of links - primarily because they published blogs). Simply by interacting online and observing trends you can see where the web is headed in a way that most people can not. Where others see risk, you see opportunity. Your knowledge of fields like search, blogs, commerce, affiliate marketing, and adverting lower the risk of failure for any new project you start. Each additional discipline you are aware of adds value to your other skill sets. The cost of testing things online is minimal. Even less if you already have built up a widely read distribution channel. In the coming years new trends will augment or take the place of blogging, search, and domain names. But you have to be willing to "take risks" if you want to reap big rewards. With ads falling off a cliff, people have been ramping up other attempts at monetization, looking for ways to be better than free and find new ways to monetize their data. What about the oldest trick in the book: actually charging people for your goods and services? This is where the real innovation will flourish in a down economy. It's now time for entrepreneurs to innovate, not just with new products, but new business models. The Financial Times highlights that nearly a half billion dollars was recently raised for tech and media investments, but Drama 2.0 highlights how some of the web 2.0 companies that raised capital are still losing money 4 or 5 years after being founded. The NYT highlighted how companies like AOL are nichifying their publishing businesses, which could be cause for worry for some mid-market players, but should not worry passionate publishers. The business cycle: Someone has a good idea - creates a company - creates a movement - creates profit - gets corrupted - becomes what they despise (leaving an opening for the next person with a good idea). The letter, posted on the FDA's Web, notes that the ad presents risks associated with the drug in "extremely" small type that fails to adequately convey the serious risks connected to the product. Humira's label carries a black-box warning, the FDA's strongest, that details risks of tuberculosis and other infections, some fatal. Some companies are founded on lies. Some businesses are only profitable because they lie. Some industry organizations exist exclusively to perpetuate lies. Some industry spokesmen are no better than whores - selling their mouths to the highest bidder. As marketing becomes more integrated into the web, the web becomes more integrated into our lives, attention becomes more scarce, media is dominated by public relations talking points, and more scandals are surfaced by the glut of information, the need for (and value of) people who are willing to speak the truth keeps increasing. I pay ~ $100 a year to subscribe to the Wall Street Journal. I would pay well over 10 times that to access Barry Ritholtz's blog (if he charged for access). If a company stays small it does not need to keep finding (or creating) additional growth...there is no need to work the books or lie to the public to please investors. Markets have never been free, but small businesses do not need to ignore big risks or hide the truth due to "political realities." In circumstances where there is even the slightest chance that the result of failing to deal with a possible situation would be the death of the world, then, if it wishes to survive, the human race has no option but to take whatever action is necessary to deal with that situation, however unpleasant and difficult that may appear to be, and to take it at once. Money becomes a tool and a means to an end rather than something that controls you. For most people, money becomes so important that it clouds judgment with regards to ethics, it breaks or makes relationships, and can devastate lives (winning the lotto or going broke). The less focus on money, I’d argue the more you are able to control money (and not let it control you) the more you are able to generate more income. Very non-intuitive, but true. Instead of worrying about money or competition, online publishers need to worry about creating the mood.